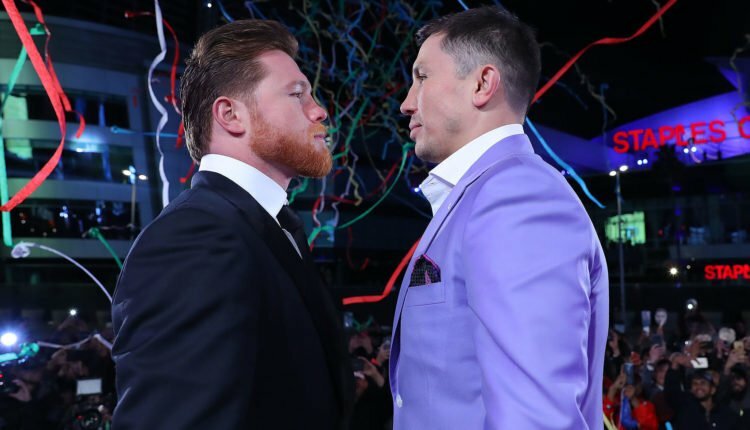 With a little over a month away from the highly anticipated, long-awaited rematch between WBA/WBC/IBO Middleweight Champion Gennady Golovkin and Canelo Alvarez, Golovkin’s trainer, Abel Sanchez, sees no need for changes to preparation. The two originally met on September 16, 2017, and battled to a highly controversial split draw, in part thanks to a heavily criticized 118-110 scorecard that went in favor of Alvarez. Many felt Golovkin did enough to deserve the nod in the contest. The rematch was originally set to take place this past May, but after Alvarez tested positive for clenbuterol, he received a six-month medical suspension from the Nevada State Athletic Commission. And despite verbal barbs traded between the two sides, Sanchez says Golovkin sees this as only a competitive matter, and not a personal one. He also responded to claims from Alvarez that GGG is not capable of fighting a new style. Sanchez adds that it’s Alvarez who has more of the pressure to change things up, and he expects the challenger will to create an even better rematch.